An Awkward Christmas is absolutely hilarious and super simple. Not only is the game amazing, but you can build a whole night around the game and make it an awkward Christmas party! To prepare, you need to find 10-20 awkward Christmas photos. You know, the kind of photos that make you either laugh or cringe. Find your own photos our use these Awkward Christmas Photos. 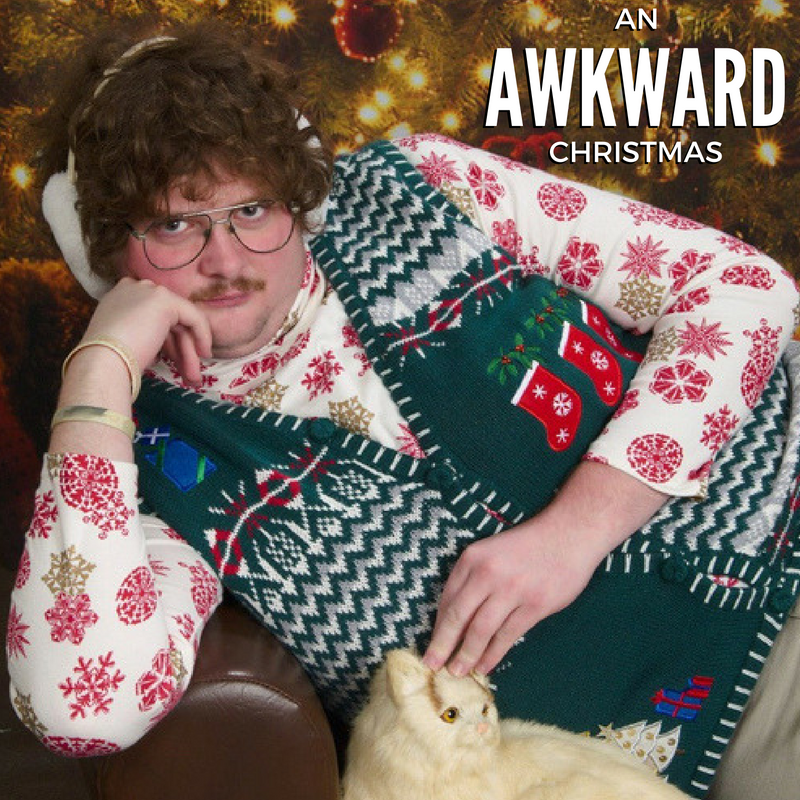 Once you’ve selected the Awkward Christmas photos you want to you use, text them to at least one person on each team. Their job is then to recreate as many awkward Christmas photos as possible with their team, but there is a catch! Give teams 30-60 minutes to go out and do their best job to find people to recreate the photos with. Simply look at the photo, get into place and then have someone snap a picture of your recreation on their phone. Have them text you the photos when they are done and score them. We highly recommend that you put together a slideshow of photos taken alongside the original for everyone to see. If you have time, show them later that day or post them on social media for everyone to enjoy. Whoever has the most points at the end of the game is the winner! We just played this game and our group absolutely loved it! Make sure to share your favorite re-creations with us. We’d love to hear from you. 1. If you’re unable to play in an area with a lot of people, you can simply have teams work together with other teams to recreate photos. Encourage them to have different groups of people in each photo. 2. Throw an Awkward Christmas Party! Have people show up in ugly Christmas sweaters , decorate ugly gingerbread houses and make awkward Christmas trees. 3. Award winners with some delicious Christmas treats! 4. Take pics and video and share the best ones on social media.